As global warming threatens to hike temperatures across the entire planet, it becomes more and more valuable to find cool places where one can chill in the summertime. Thanks to air conditioning and a plethora of freezers, the supermarket is usually a pleasant escape from the dog days of summer. 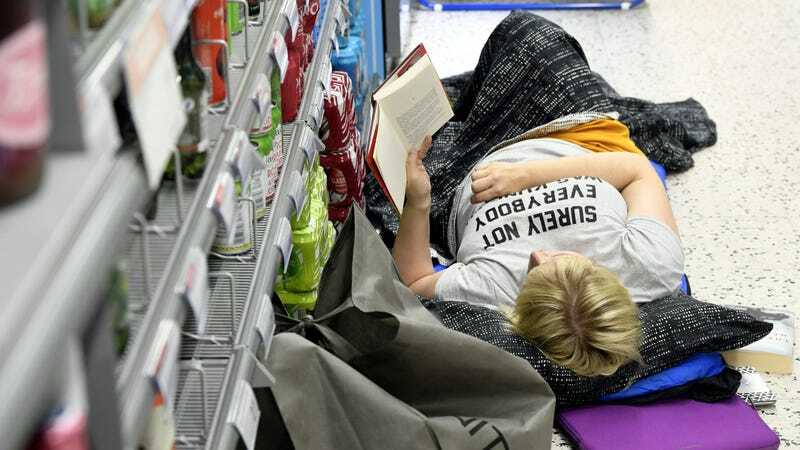 So as even Nordic countries battle a heat wave this summer, Business Insider reports, “In Helsinki’s Pohjosi-Haaga neighborhood, the K-Supermarket offered a prime solution taking customer responsiveness to an unprecedented level.” BI notes that those in the Nordic regions “have been battling for fans as sleep has become an increasingly tricky issue with the rising temperatures. The second-best option, fluid replacement, has been sold out for weeks in most stores.” So when sweating, sleep-deprived patrons commented how pleasant it would be to sleep in the supermarket, after checking with health officials, K-Supermarket gave the okay to 100 lucky customers. The event was a popular success, even though some guests complained that the hum of the freezers (not to mention the bright lights?) kept them up. But props for ingenuity, Helsinki. Looks like we’re all going to have to get more creative as the planet heats up.